During the course of lifetime you or your loved ones may be the unfortunate victim of an injury caused by the wrongful behavior of another operator of a motor vehicle. 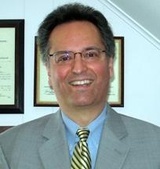 The information provided on this website is to assist victims of automobile accidents about the legal rights and remedies available in the State of Rhode Island. An injury caused by a car accident can have profound emotional and financial consequences to not only the injured person but also their family. I am dedicated to helping victims and their families recover every cent of compensation that they are entitled to as a result of an injury caused by a motor vehicle accident. I will be your advocate when you need it most. If you have been injured as a result of a motor vehicle accident call for a free consultation. Thank you for visiting, Attorney Pepe. After an accident does Rhode Island law require me to take certain actions? Yes. Subsequent to a motor vehicle accident Rhode Island law requires you to take the following actions: 1) If there is injury to a person or property damage and you leave the scene of the accident you can be charged with a crime. Call the police immediately and remain on the scene until the police obtain all necessary information so a police report can be completed; and 2) If anyone is injured in an accident a driver is required to render reasonable assistance; and 3) Exchange information with the other party or parties to the accident and obtain their vehicle registration number, motor vehicle license information, and insurance information. See Chapter 31-26 of the Rhode Island General Laws for further information. Beyond any actions required by Rhode Island law what else should I immediately do after I am involved in an automobile accident? If you are involved in an automobile accident immediately take the following actions: 1) If you are injured seek appropriate medical treatment and obtain emergency room reports and medical records documenting your injuries; and 2) At the time of the accident or as nearly close to the accident as possible take photographs of the accident scene, the bodily injuries that you sustained (cuts, bruises, abrasions, etc. ), and a picture of you wearing bandages or medical devices prescribed by your doctor such as a neck collar; and 3) Obtain the names and addresses of any witnesses to the incident; 4) If the police or rescue squad had been on the scene obtain a copy of the police report or rescue squad report; and 5) Keep a daily written pain and suffering log which describes your daily level of pain (typically 1 being the least and 10 being unbearable) and how your injury affects you ability to do you daily tasks and activities. What should I not do after a motor vehicle accident? First, you should never admit that you caused the automobile accident and that you were at fault. Determining fault in an automobile accident requires that all the facts and circumstances are taken into account, and even if you think you were at fault, a careful examination of the circumstances surrounding the accident may prove you wrong. Then you would have an incorrect admission of liability that could be used against you in a civil suit. Secondly, don't make any statements that you were not hurt or injured as a result of the accident. Many injuries do not manifest themselves right after a trauma. For example, a person with whiplash may not feel any discomfort until several days after a car accident. Third, if you speak with either your or the other motorist's insurance company just relay facts about what occurred regarding the accident. Do not give an opinion as to what happened but only describe the facts and circumstances surrounding the accident. For example, don't say I believe that the other driver was distracted because he was on his cell phone, if you did not actually see the other driver talking on his cell phone just prior to the accident. If you fail to give accurate statements, even innocently, they can be used against you during the course of a claim. What is my obligation to my insurance company and the other party's insurance company after an automobile accident? A motorist has a contract with his automobile insurance company. Typically, the contract requires you to report a claim in a timely fashion and may require you to give a recorded statement if requested by your insurance carrier. On the other hand, you have no obligation to cooperate with the other motorist's insurance company. It is best to consult with an experienced automobile accident attorney as soon as possible after an accident and let the attorney deal with both your and the other party's insurance company. When should I contact an experienced automobile accident attorney if I have been injured as a result of an car accident? As quickly as possible. Motor vehicle accident cases can become complicated quickly and require immediate attention by an experienced automobile accident attorney to ensure that you receive maximum money compensation. Once an accident victim is released by his physician to seek legal counsel make contact immediately. 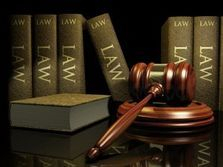 Failure to obtain timely legal counsel can result in insufficient or improper documentation of a claim and in the worst case scenario denial of a claim. This can be extremely important to a severely injured person who may be unable to work, care for their family, or even do simple day-to-day tasks to expedite receipt of money damages. If you have been involved in an automobile accident immediately schedule a free consultation with my office. Is there a time limit under which a suit for negligence must be initiated as a result of a motor vehicle accident? Yes. The time limit is contained in a law called the Statute of Limitations. Generally, in Rhode Island a victim injured as a result of the negligence of an operator of a motor vehicle must file a lawsuit in court within three years of the date of the accident. There are exceptions to the three year time limitation which you can find on the personal injury page of this website. Therefore, even if the three year time limit has passed it is important to consult with an experienced motor vehicle accident attorney to determine if you may be able to initiate a law suit. What compensation am I entitled to under the law for injuries that I incurred as a result of a motor vehicle accident? A person that has sustained an injury because of the wrongful operation of a motor vehicle by another can be entitled to compensation for property damage to their motor vehicle, replacement of lost wages and earning capacity, money damages for physical and emotional pain and suffering, reimbursement for current and future medical costs, scarring, and damages related to the impact of a permanent disability. There are instances, however, where an individual involved in a car accident may receive in addition to the aforementioned personal injury damages, Worker's Compensation and Social Security Disability benefits. Unlike most attorneys I am experienced in successfully recovering for my clients money damages from all these possible sources. Who pays for the loss resulting from a car accident? The person who wrongfully caused the accident is personally responsible for the injury that he or she caused. Typically that individual will have insurance and the insurance company will make payment on behalf of the person or organization that is responsible. Sometimes the at-fault driver will not have insurance and a claim can be filed with the victim's insurance company under the uninsured motorist coverage and Medpay. Uninsured motorist coverage and Medpay are explained below. Can I obtain money damages for my injury if the motorist who caused my injury is at fault but did not have insurance? The lack of insurance of the motorist who was at fault does not affect your legal right to file a claim against the person or organization whose negligence was the cause of your injury. As that individual or organization is personally responsible for your injuries. The problem, however, is that many times the negligent party does not have the funds to compensate you for your damages. If that is the case you can file a claim with your own insurance company for uninsured or under-insured motorist protection and Medpay if you have these types of coverage as part of your insurance policy. I have been injured in an automobile accident and I do not have any health insurance how am I going to pay my medical bills? The motorist who was negligent and caused your injuries is responsible for all of your medical bills. Some of your bills will be paid by your health insurance provider and they will seek reimbursement after your case is completed. Also, in Rhode Island numerous automobile insurance policies contain Medpay which is like health insurance. Medpay coverage pays for your medical bills, depending on the amount of coverage, up to $2,500.00 or $5,000.00. This money comes from your insurance provider and you do not have to wait for a settlement or jury verdict. Generally, people are unaware of the availability of medpay coverage. So, when you're purchasing automobile insurance make inquiry about obtaining medpay as it is very affordable. Should I carry uninsured motorist coverage on my automobile insurance policy? Absolutely! The reason you need uninsured motorist coverage is because Rhode Island does not verify the insurance information given by a vehicle owner. If, however, you have adequate uninsured motorist coverage your automobile can be repaired, and you can collect personal injury damages including medical bills, lost wages, and pain and suffering. Although Rhode Island law requires that every individual with a registered motor vehicle carry $25,000 of bodily injury liability coverage. If a driver is responsible for an automobile accident this coverage pays bills of passengers, the other driver, his or her passengers, and any pedestrians involved. When a car is registered an individual can provide the name of any insurance company and the Rhode Island Division of Motor Vehicles will most likely not ask for proof. If proof is requested, an individual only has to pay the first month installment, obtain a proof of insurance card, and then not make payments for the remainder of the year thereby voiding the insurance. Subsequently, no one is aware of the lack of insurance until an accident happens. How can I receive all the money I am entitled for my personal injury if the motorist who was responsible for my injuries only has $25,000 of bodily injury coverage and my medical bills are $100,000? As previously discussed it is crucial to carry uninsured motorist coverage on your automobile insurance policy. Beyond protecting you from an uninsured motorist this coverage also provides under-insured motorist coverage. For example, let's say you are seriously injured in an auto accident and the person who caused the accident only carries the state minimum of $25,000 in liability coverage. If you don't have uninsured motorist coverage and your personal injury claim is valued at $100,000, and the at fault driver only carries $25,000, you will loose $75,000. On the other hand, if your policy has uninsured motorist coverage of $50,000 then you will be able to collect an additional $50,000 from your insurance company, plus the $25,000 from the at-fault driver's insurance policy. Even though you did not receive the full $100,000.00 it is much better than losing $25,000 instead of $75,000. 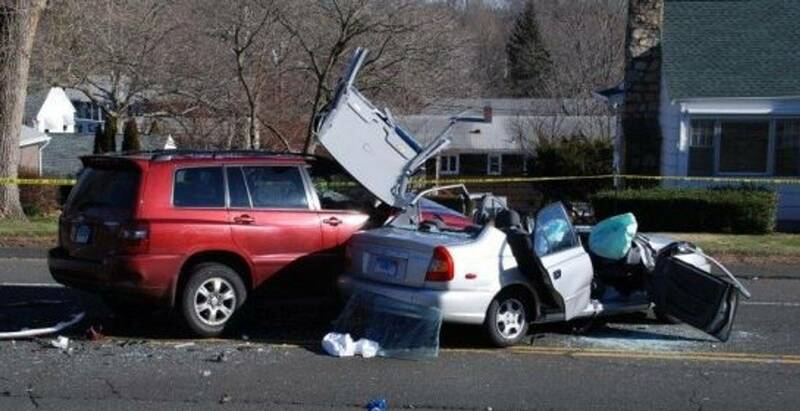 What should I do if I am injured in a hit and run car accident in Rhode Island? Unfortunately not all people will act responsibly after being involved in a motor vehicle accident. A person who is at fault may flee the scene of an accident for several reasons such as: 1) they panic and leave the scene; or 2) they lack insurance; or 3) they are intoxicated; or 4) they are driving a stolen vehicle. If you are the victim of a hit and run accident, if physically able, you should: 1) immediately try to write down information regarding the vehicle that struck you including its make, model, color, license plate, and any other identifying information; and 2) obtain the names of any witnesses to the accident; and 3) call the police and give them a statement describing in as much detail as possible what occurred. Also, it is important that you seek medical treatment immediately if you injured to document the injuries that you sustained as a result of the hit and run. And, as soon as you are physically able, immediately contact an experienced personal injury attorney. If I am injured by a hit and run driver can I be compensated for my injuries? If the police have been able to locate an at-fault motorist who struck your vehicle and fled the scene then you can proceed against that driver and his insurance company as in any motor vehicle accident. If, however, the police are unable to locate the at-fault driver then you can file a claim with your own insurance company for uninsured motorist protection and Medpay if you have that coverage as part of your automobile insurance policy. Am I required to file a report to the Rhode Island Division of Motor Vehicles. No. Motorists are no longer required to file a separate Accident Report. In a continued effort to be more customer friendly, DMV has changed its policy and no longer requires motorists to file the form titled the Motor Vehicle Accident Report (more commonly referred to as the State Crash Report). Now when a person is involved in a crash where there is bodily injury or damage in excess of $1,000 they will only be required to file a Uniform Crash Report, also known as the “Police Report.” This report is generated by state and local law enforcement officials, usually at the scene of the crash, and will now be accepted by DMV in lieu of the State Report. The crash report is automatically sent to the R.I. Department of Transportation (DOT) where crash statistics are tabulated. DMV receives the crash information from DOT every day, eliminating an additional step for motorists.